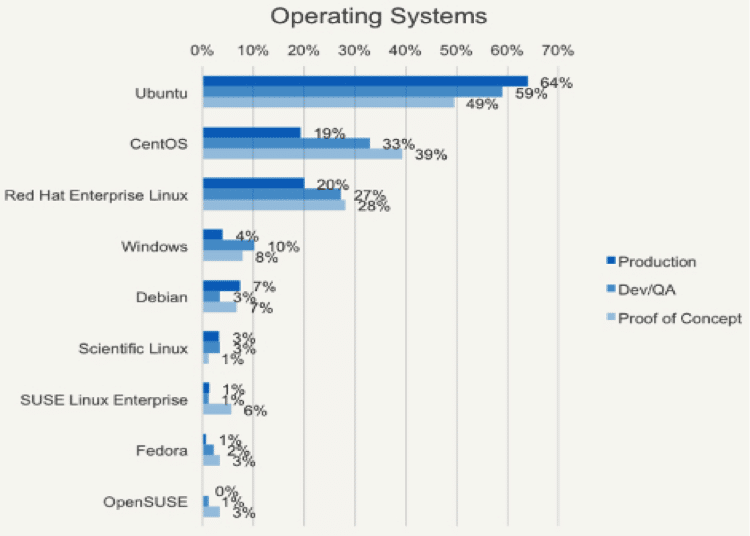 Based upon anecdotal evidence, I estimate that the average large enterprise organization uses more than 70 different security tools from an assortment of vendors. As they say in Texas, “that dog don’t hunt.” In other words, it’s nearly impossible to maintain strong security hygiene or establish best practices when the security organization is chasing cybersecurity optimization on a tool-by-tool basis. Deciding when to upgrade your campus switch involves ROI considerations, figuring out wireless user requirements, and understanding process implications. In my previous blog, I wrote about the technical considerations for choosing a campus switch and how the growth of wireless devices affects those considerations. In this blog, I’ll examine how to make a business case for campus switch upgrades, including ROI, people, and process considerations. Is 'Backup' a four-letter word at Dell? Maybe, depending on who you talk to. In an era of exponential data growth, our research is revealing—not surprisingly—that a significant number of organizations have identified managing that data growth as a top concern. Included with this blog post is the sixth in a series of seven videos that talk about the key findings from ESG’s recently published research report, Next-generation Storage Architectures. I collaborated with my colleagues Terri McClure and Mark Peters on the research. In this segment, I talk about object storage. In this ESG Video Blog, I discuss the current and future state of the Hadoop market. 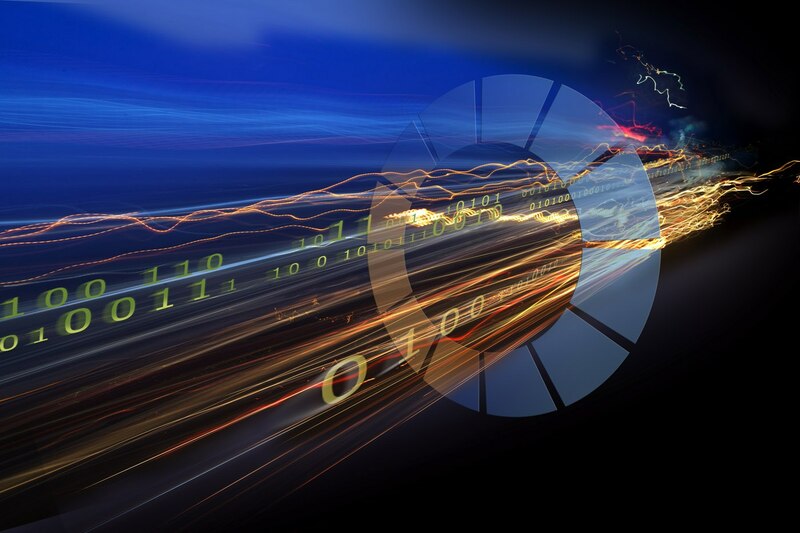 EMC, the federation, is in hot pursuit of mission critical business applications that are vital and often the most difficult and costly for IT organizations to manage and maintain. 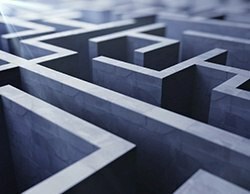 Lower tier applications tend to have more fluidity and flexibility, lending themselves to fly around the data center or off to the cloud with relative ease while mission critical applications tend to have a more “caution do not touch” mentality. This is good, but not necessarily the most efficient and economical decision given today’s choice of consumption models and pressure to drive further automation and efficiencies into the IT operational model. This morning, NetApp announced AltaVault—the next iteration of what was Riverbed SteelStore, which was acquired in 2014. 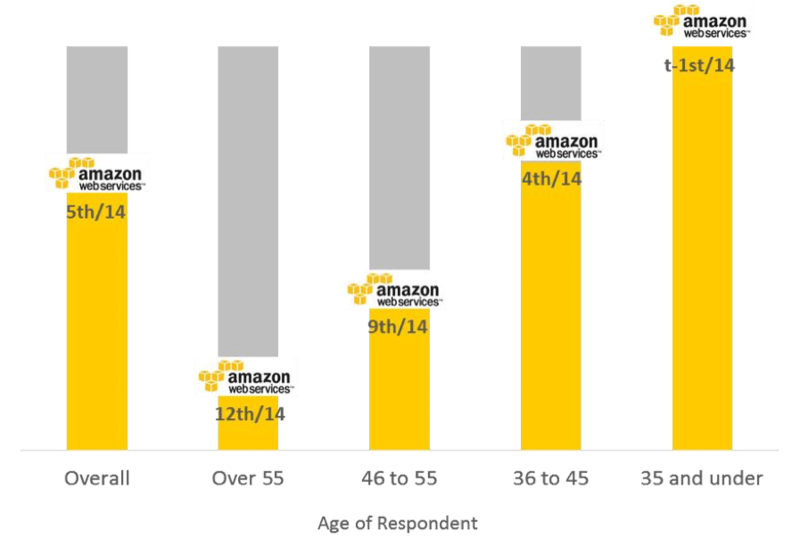 Will Amazon's Cloud Youth Movement Prove Fleeting? In 399 BC the Greek philosopher, Socrates, was accused of corrupting the Athenian youth with his “dangerous” ideas. For this offense he was compelled to drink a death cup of hemlock. Likewise, Amazon’s infectious influence with IT professionals 35 and under may leave traditional vendors of IT yearning to administer a similiar poison pill to Jeff Bezos. Dear CISO, Tear Down These Legacy Cybersecurity Walls! Here’s a scenario we’ve all encountered: You go to a nice restaurant to enjoy a meal and the whole experience turns sour. The service is terrible, your entrée arrives before your salad, and your food is overcooked and virtually inedible. Have you ever seen the movie, Pacific Rim? As a fan of Guillermo del Toro and of science fiction in general, the movie was right up my alley. And with a 72% from Rotten Tomatoes, I am not alone. But what does this movie have to do with information technology and/or enterprise data storage? Hang on a second and I will get to that, but first let me set the stage for any reader who hasn’t seen the movie. The 2015 edition of IBM’s Edge conference recently took place in Las Vegas. While it lacked some of the showbiz sheen of other big industry events, the feeling of being at a cult reunion was just as strong; and any lack of hype was more than balanced by the focus on links to real world business/societal outcomes that permeated everything. There’s a telling irony in that comment: while many vendors declare lofty goals in their conference descriptors that are sometimes based on spurious - or at best strained – links to eventual value, and then actually talk about products, IBM (as so often) treads a different path: It actually declares that the conference is indeed about infrastructure, but then wraps that iron fist of infrastructure in a beguiling and compelling velvet glove of end-user achievement and proven value. 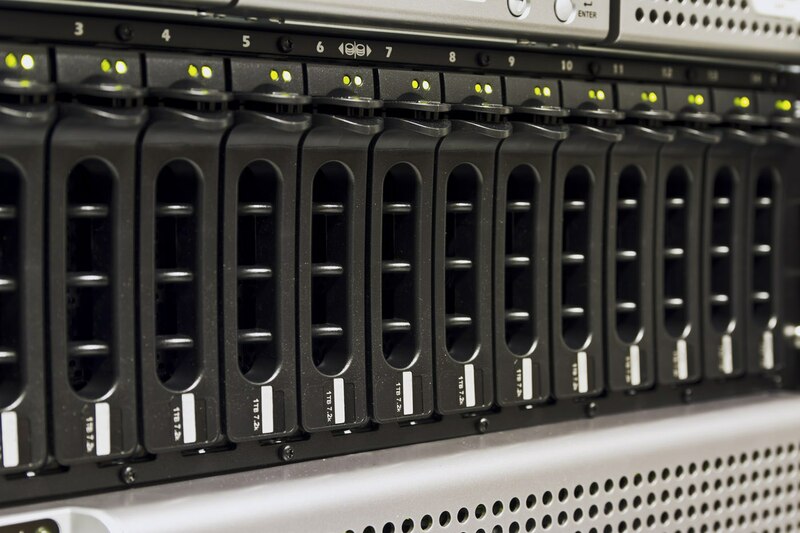 Earlier this month, Dell announced enhancements to its DR series of deduplication appliances. Deduplication appliances continue to be a common method of improving one’s overall data protection infrastructure since they can typically be added to whatever backup/archive software or method that you already have, while near immediately reducing the storage consumed in secondary copies. Included with this blog post is fifth in a series of seven videos that talk about the key findings from ESG’s recently published research report, Next-generation Storage Architectures. I collaborated with my colleagues Mark Peters and Scott Sinclair on the research. In this segment, I talk about one of the key, next-generation storage architectures: solid-state storage. 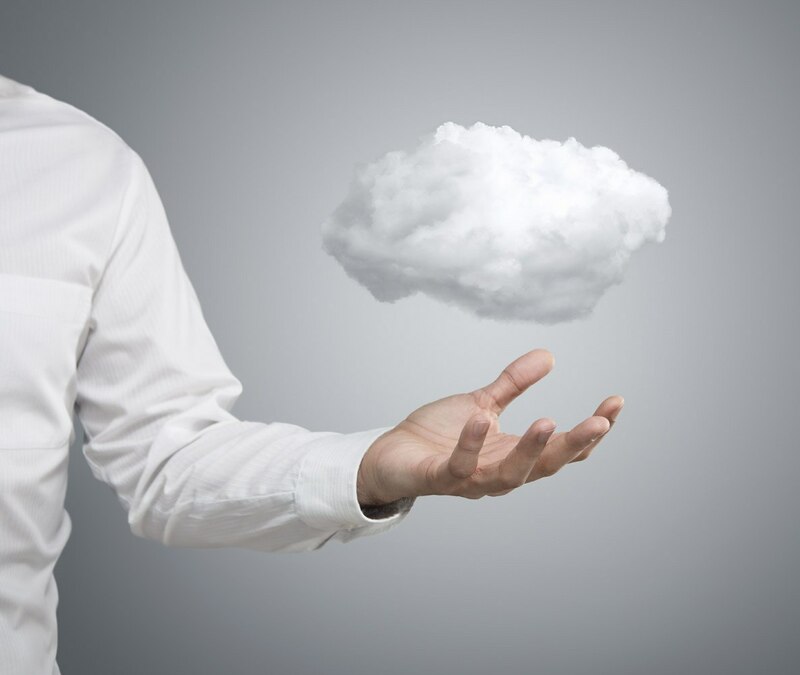 A ‘File Server in the Cloud’ is hard to find! 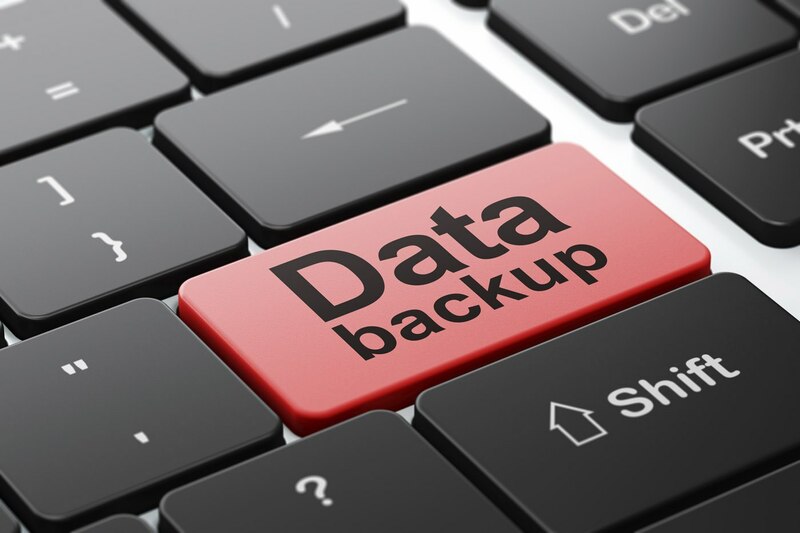 Disclaimer: I am not one of the ESG analysts who specializes in "mobility" or cloud-based file services … I’m “the backup guy” covering data protection. But as a twenty-five-year hands-on technologist, I’m sharing a personal experience for your consideration. This weekend, I decided to fully embrace the cloud by getting rid of my last "production IT resource" in my Dallas office—a file server. This is not complicated, right? It is currently a 2TB VM with less than a dozen file shares on it and serving 3-5 users with various permissions to the shares. That is a configuration that anyone who has ever spun up a copy of Windows Server OS could do in less than an hour—but can you do it in the cloud? Not as easily as you might think. Cybersecurity systems suffer from compartmentalization. 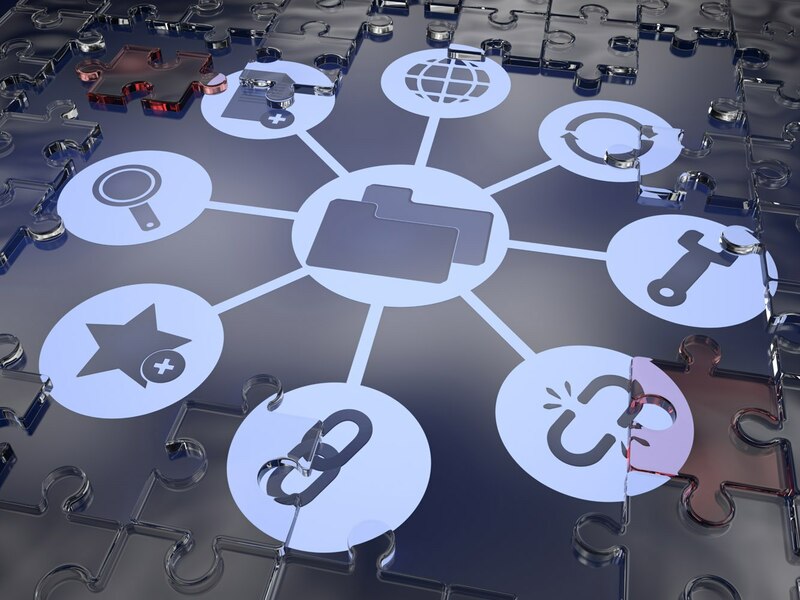 Vulnerability management systems know which software revisions are installed on which systems, but have no idea how endpoints and servers are connected together. Similarly, an anti-malware gateway can perform static and dynamic analysis on a suspicious file but doesn’t know if a user downloaded analogous malware when she was connected to the Internet on a public network. I attended the NFV World Congress, and I found the continuation of the increased intersection between Enterprise and Telecom Carrier Ecosystems. Traditionally, the world of telecom has been about signaling, switching circuits, radios, and the like. The introduction of NFV (network functions virtualization) had nudged the telecom world closer to the land of data center networking and cloud computing. 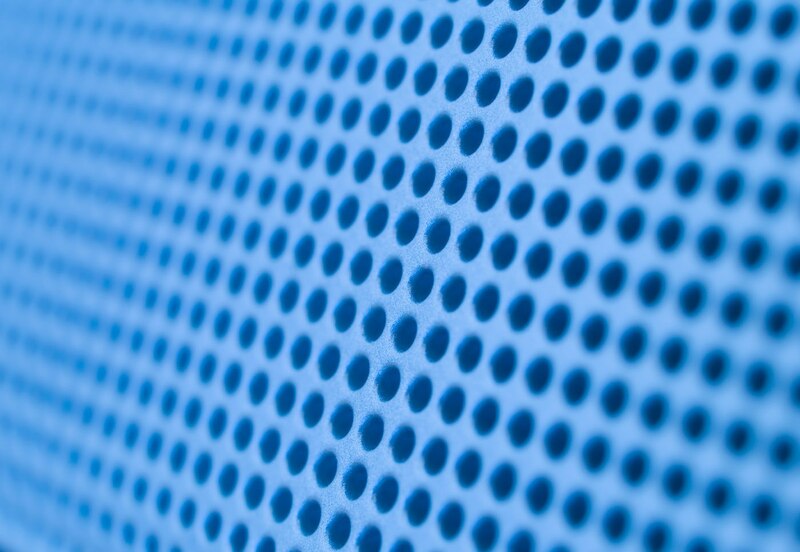 With all the excitement around software-defined storage (SDS) lately, it can be difficult to separate reality form the noise. And from our research, it looks like a good number of organizations are struggling with just that challenge. Included with this blog post is the fourth in a series of seven videos that talk about the key findings from ESG’s recently published research report, Next-generation Storage Architectures. I collaborated with my colleagues Scott Sinclair and Mark Peters on the research. In this segment, I talk about one of the key next-generation storage architectures: software-defined storage (SDS). 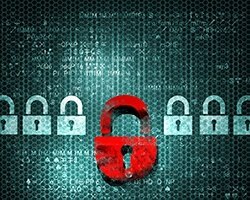 Each year, ESG publishes its annual IT Spending Intentions report – and each year, I look at the research from a “Data Protection Guy’s” perspective. I've already shared my 2015 Data Protection Predictions that were in part based on that research, but my friends in the ESG video studio let me share my data protection interpretations of the IT Spending Intentions research itself. At Interop, Urs Hölzle, Google's Senior VP of technical infrastructure gave a keynote speech on the lessons learned from building a global infrastructure. This led me to think about how lessons or technologies from running clouds or using clouds affect networking or general enterprise IT infrastructure deployed at a smaller scale than Google . 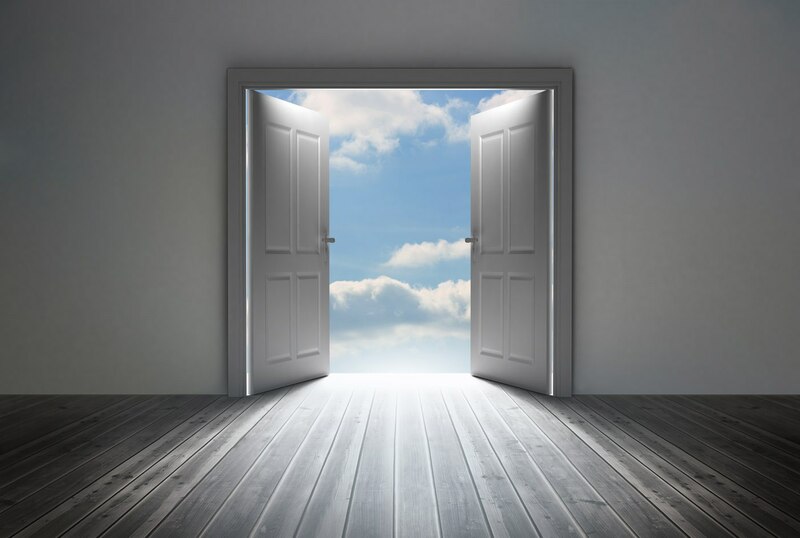 In addition to learning from technologies used by cloud operators, using clouds means that we can migrate what used to reside solely on-premises into the cloud. Examples include the deployment of network controllers or analytics systems into the cloud, and this is a trend that will affect networking in the years to come. 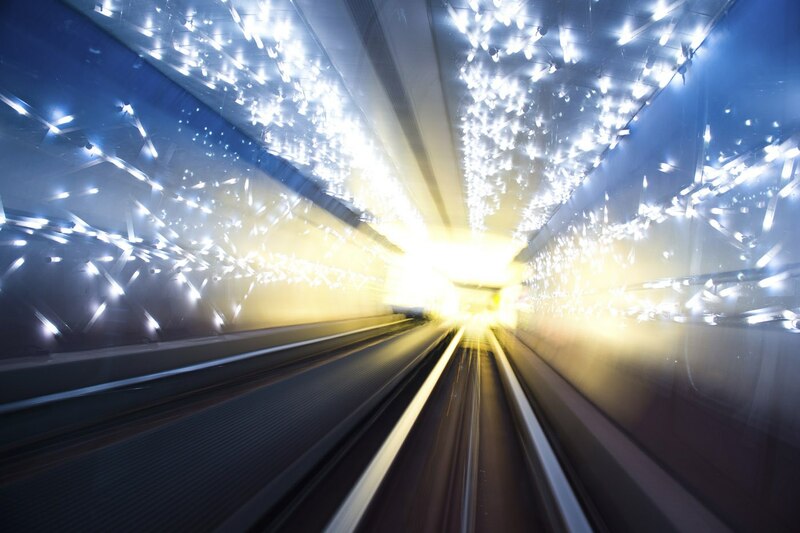 This is a follow-up to my previous blog: Interop Recap - SD-WAN or Hybrid-WAN. What's in a name? His assumption was somewhat accurate since NetWare did control physical file servers and printers. What he didn’t get however was that NetWare made physical network devices subservient to a global and virtual file and print services. Before NetWare (and similar technologies like Sun’s NFS), you had to have a physical connection to a device and/or control these connections on a device-by-device basis. Novell radically changed this by using software to abstract connections. This made it much easier to point users at local printers and file shares while applying central access controls for security and privacy. 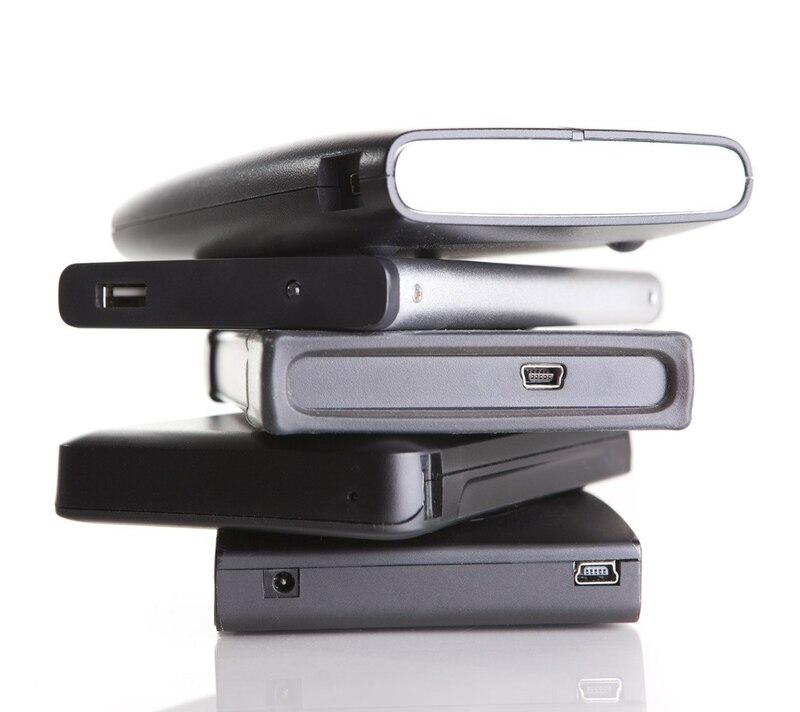 We live in an unsettling time for enterprise storage technology. It may not be too much of a stretch to say that the future of storage technology is more uncertain now than it has been in the past 10 or 15 years. Emerging technology trends such as the cloud and big data analytics, along with the storage innovations of software-defined storage (SDS) and solid-state are transforming the information technology landscape as we speak. 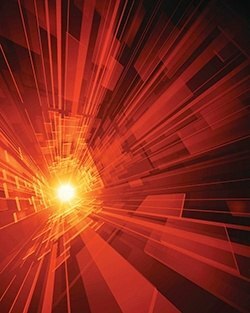 While multiple, if not all, technology providers have identified this transition, execution strategies differ. Some providers focus on the infrastructure, designing the best storage technology and features to prepare for the pending onslaught of data. Other providers focus on the expanded ecosystem, understanding that organizations may need technology in multiple locations, on- and off-premises. IBM takes these ideas one step further, not just focusing on bridging the old world of IT to the new, but striving to help businesses do more by layering advanced data analytics in an effort to achieve new and valuable insight. So, the one thing you can be sure of at an EMC World is razzmatazz; and this year did not disappoint with diversions: what with a jumping truck, rock bands, Mr Spock, off-stage "Beast" roars, pumping water (for good reason! ), and a motorcycle multi-champion - to mention just a few - it could get easy to be washed along with the tide of geek-humanity from one bright light and loudspeaker to the next. 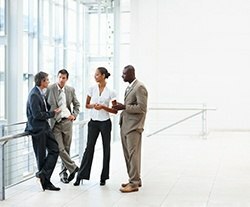 Interop Recap - SD-WAN or Hybrid-WAN. What's in a name? Interop in 2015 was held as usual at the Mandalay Bay Convention Center in Las Vegas. There were few surprises or announcements, but a few trends were apparent. 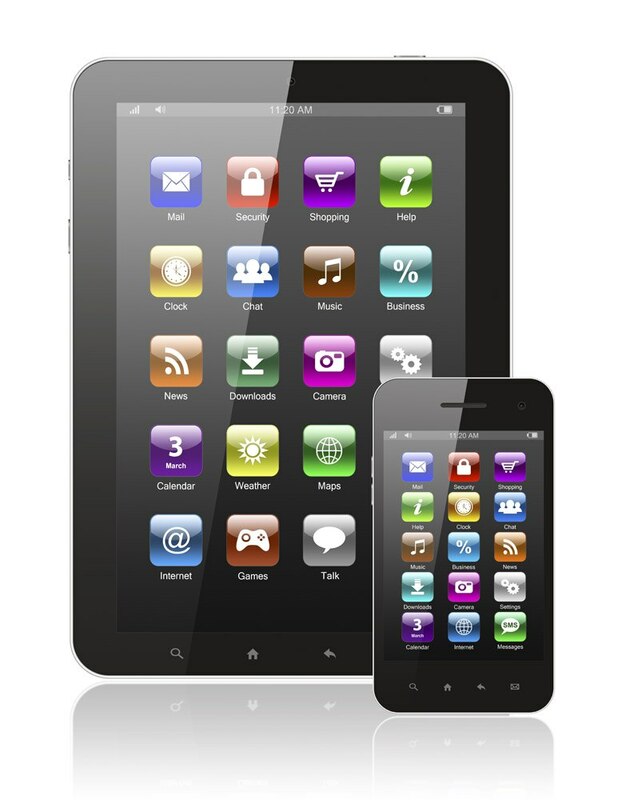 I wrote a few blog entries (What do I do with my 10-year old device? and Network Switches a Commodity? Not Really), but after giving my mind a rest, here are some observations on software-defined WAN (SD-WAN), or hybrid-WAN solutions that I saw. Due to the sheer number and variety of events that ESG attends on a yearly basis, we tend to pick up quickly on what works and what flops. There is always an interesting balance between visionary content versus technical depth. We also watch and listen for what’s marketing fluff and how far out front the vendors are from their customers. 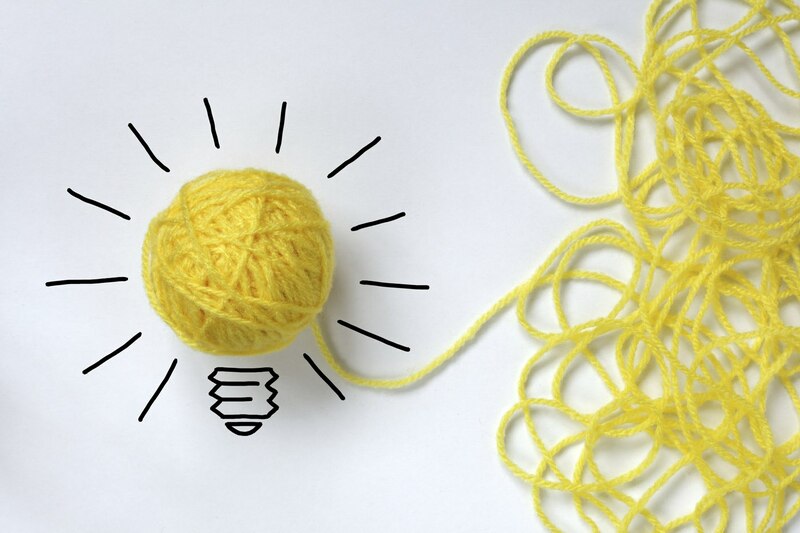 Some events tend to be geared to propeller heads and others to IT leaders, but the magic happens when the vendor knows the audience well, can map to today’s challenges, and lays down a breadcrumb trail that helps strengthen the relationship between IT and the business. It also never hurts when an attendee walks away with ways that they can advance their career. 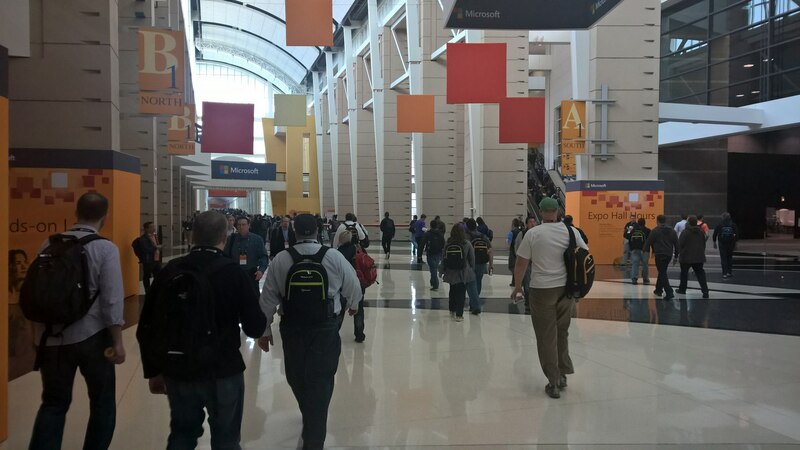 After attending the inaugural Microsoft Ignite 2015, I consider it a must attend event for IT professionals. For those that choose to judge Microsoft based on a historical view, I promise that your eyes will open up if you look at some of the recent results Satya has put on the board since starting as CEO. Microsoft demonstrated a strong belief and passion for IT and business transformation and the results are starting to show. 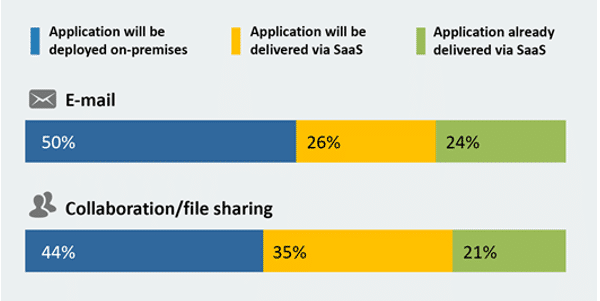 Your SaaS Application needs to be Backed Up! 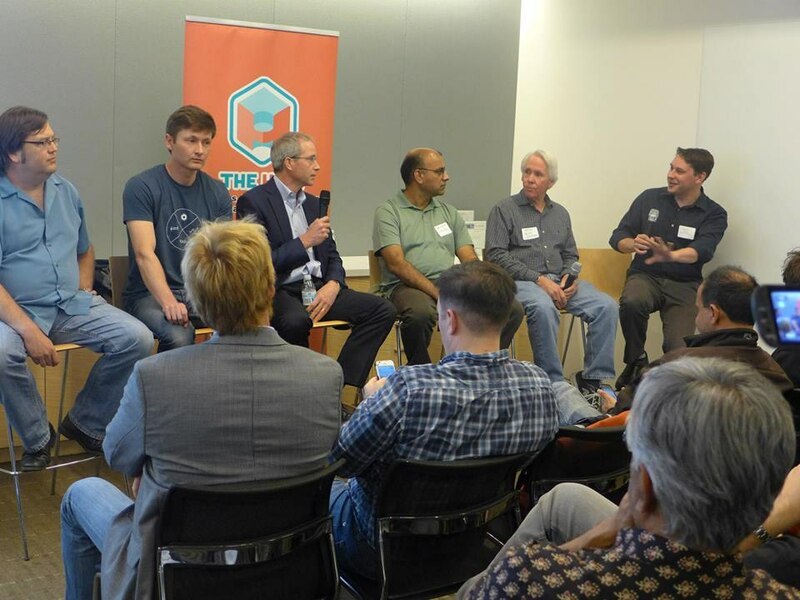 Recently the Hive hosted a panel discussion on the pros and cons of various approaches to in-memory databases. Yours truly served as moderator/referee as Oracle, MemSQL, IBM, Aerospike, and Pivotal sent their biggest brains. Check out who was on our eminent panel here. In a bid to help accelerate the adoption of the Open Stack cloud computing platform in traditional enterprise data centers, Red Hat recently made an undisclosed investment in VMTurbo, a Boston-based software company focused on automated virtualized and cloud infrastructure resource management. Who builds the world’s most popular tool for analyzing data? Did you say Microsoft? Good. For most anyone in business, Microsoft Excel is where we get started around business intelligence, though we may not typically call it that. From this humble beginning, many graduate on to much more sophisticated solutions. What not everyone realizes is that Microsoft is capable of supporting you even as you go to much greater depth. At the recent Ignite event in Chicago, Microsoft made the case that day will improve worker productivity, especially around data insights and collaboration, with an extremely deep portfolio of complementary technologies. The removal of a boundary between an organization and the outside world. 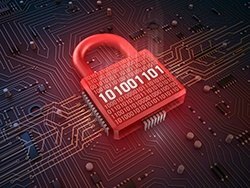 De-perimeterization is protecting an organization's systems and data on multiple levels by using a mixture of encryption, secure computer protocols, secure computer systems and data-level authentication, rather than the reliance of an organization on its network boundary to the Internet. When you think of Hitachi, what’s the first word that pops into your head? Was your word "manufacturing "? Me too. When you think of HDS, what’s your first word? Was it “storage”? Well maybe we need to think again. 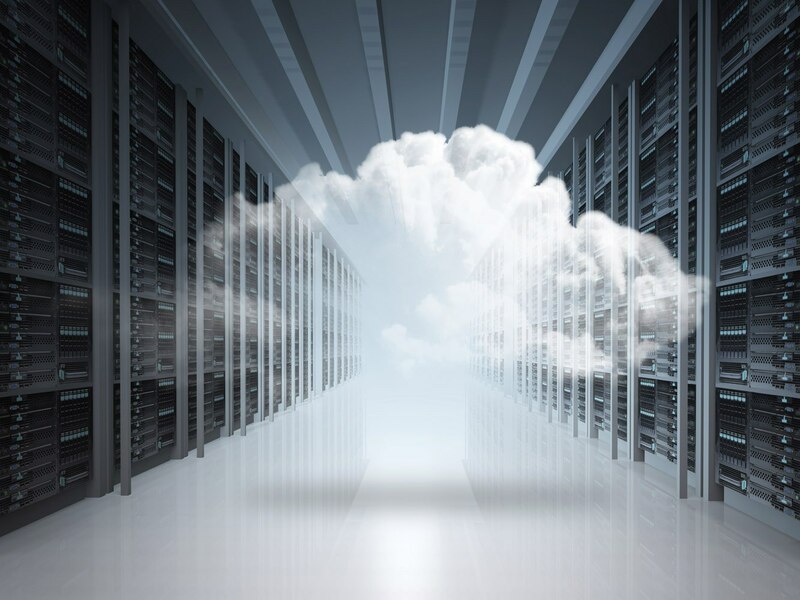 Backup to the Cloud – enhancing how the CommVault data protection platform can store data within public cloud storage from its Simpana software (via the new Cloud Replication option) or from a CommVault appliance (via the new Cloud Gateway add-on). Leveraging the Cloud – enabling the VMs that have been protected to the cloud to be utilized for Disaster Recovery or Test/Dev purposes. 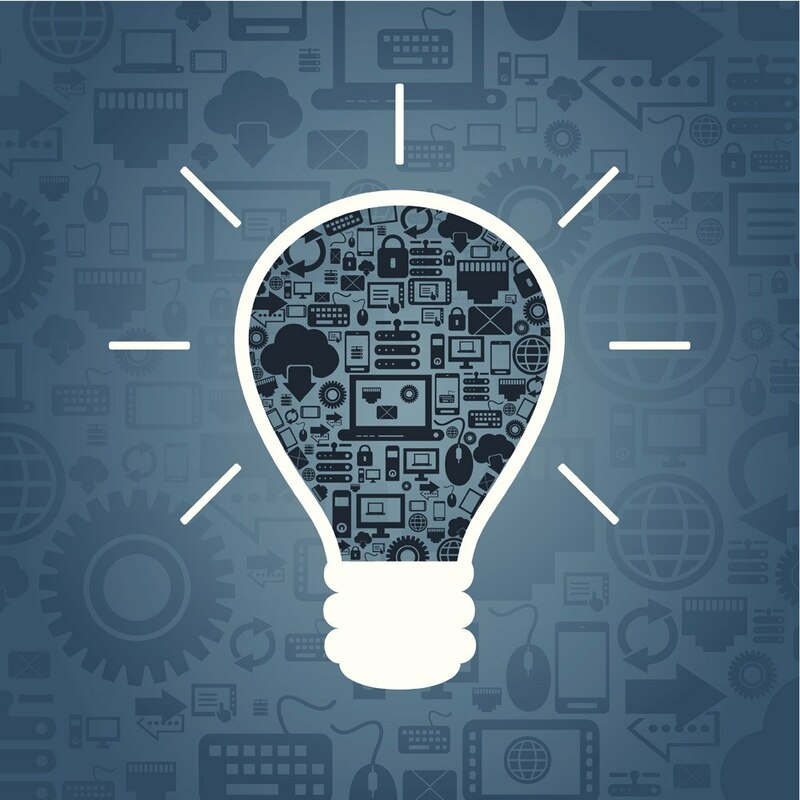 It’s hard to innovate when nearly 65% of the IT budget is spent just keeping the lights on. 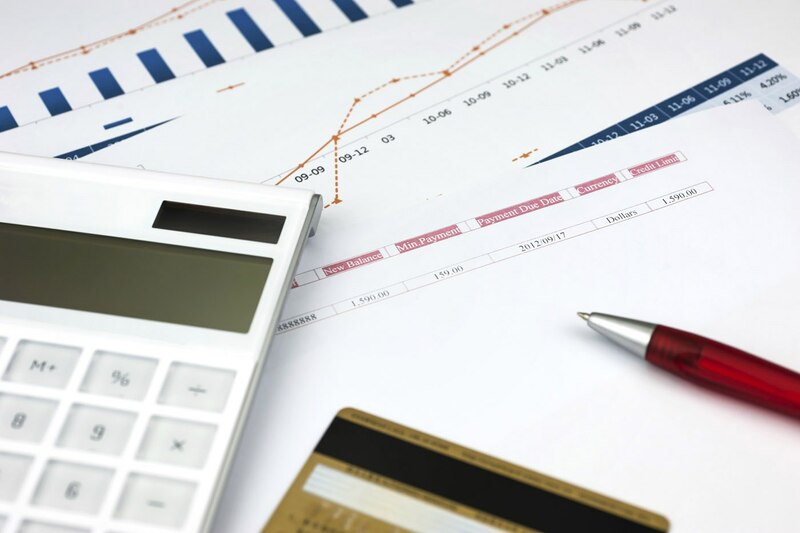 Yet many organizations find themselves allocating a significant percentage of their annual budget on maintaining static IT infrastructure--facilities costs, hardware and software maintenance costs, licensing renewals, labor and housekeeping, etc. 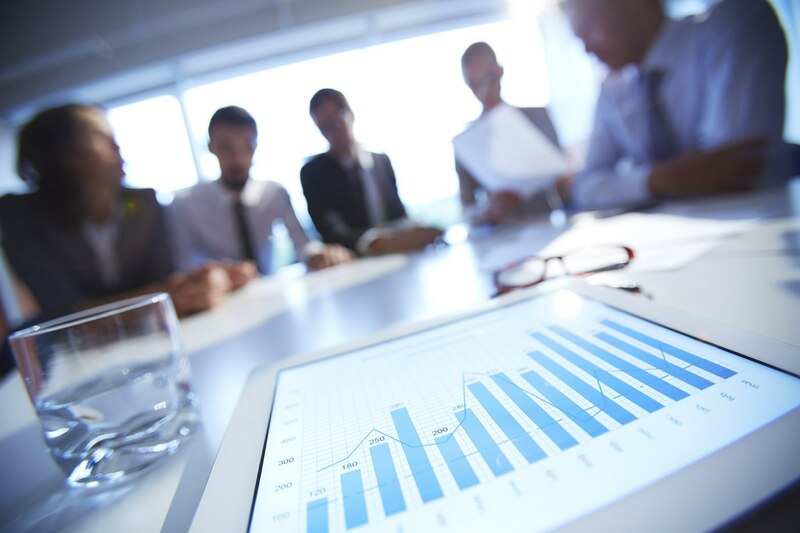 This leaves fewer resources available for innovating on strategic business initiatives like data mobility, business intelligence (big data), and “web-ifying” business applications. Is cloud storage coming to a theatre near you? Included with this blog post is the third in a series of seven videos that talk about the key findings from ESG’s recently published research report, Next-generation Storage Architectures. I collaborated with my colleagues Terri McClure and Mark Peters on the research. In this segment, I talk about one of the key next-generation storage architectures: cloud storage. 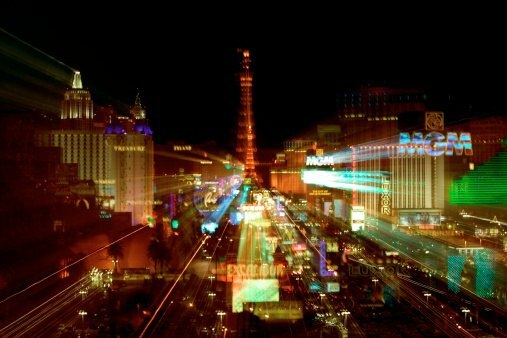 What could possibly entice me to return to Las Vegas for the third time in three weeks? Informatica World 2015. Frankly, I was curious to see just what was a-goin' on with the company. We know this is a group with serious chops in the data management space, but it's also a bit of an anomaly generation-wise. Founded in 1993, Informatica doesn't have so many decades of seniority as IBM, HP, or Oracle, but it's far too old to be a precocious startup any longer. Informatica was born prior to the Dot Com boom, yet is still trying to define itself, actually a lot like most 22-year-olds I know. Last year the company graduated with a Master's Degree in Data Management, and now it's hitting the workforce with new energy. I'm not sure how the whole "going private" move fits this metaphor, but Informatica isn't talking about that yet either until the deal closes. Here are some topics ESG will be monitoring closely this week at Citrix Synergy. The growth of wireless and the emergence of the Internet of Things create challenges in selecting a campus switch. Here are some top considerations. At the recent HDS Connect Event there were -literally- all sorts of connections to be made. HDS had pulled its sales and partner conferences together with the analyst event, a leadership meeting, and sundry others. The first connection was to parade the huge range of mothership Hitachi's capabilities, and thereby give some tangible credibility to the vision, and even gradual manifestation, of the overall Hitachi drive for "Social Innovation." It is all-at-once bold, compelling, grandiose, challenging, a tad vague at times, a tad very real at others, breathtaking, surprising, and admirable. It certainly made for a vastly different tone than a regular IT or (often in my case) storage vendor conference. Before adding a few more details, here's an ESG "On Location" video featuring summary comments from yours truly together with my colleagues Nik Rouda and Terri McClure. This installment covers cloud gateway appliances that are designed to be part of a data protection strategy. Early DP cloud gateways have a similar value-proposition as mainstream deduplication storage appliances in that they can be added to existing (or new) backup and archival infrastructures and automagically and radically reduce storage consumption through optimized protection storage. Typically, these gateways utilize a combination of fast local storage for immediate restores that then offloads previous versions and older copies to cloud-storage. 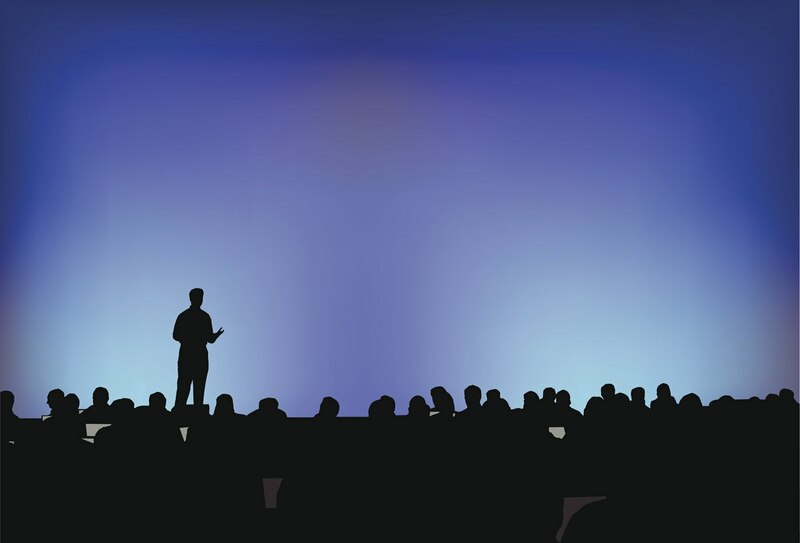 This week at EMC world, the message was about change and redefinition. At first glance, this could be seen as a retread of a very familiar story with all the necessary storage showcase event checkboxes marked off. Data is growing, check. Organizations are demanding new ways to handle data, check. Mentions of software-defined storage, the cloud, and the Internet of Things, check, check, and check. But… as the announcements continued—especially during the second day and beyond—there was a resounding sense that this time it was different. 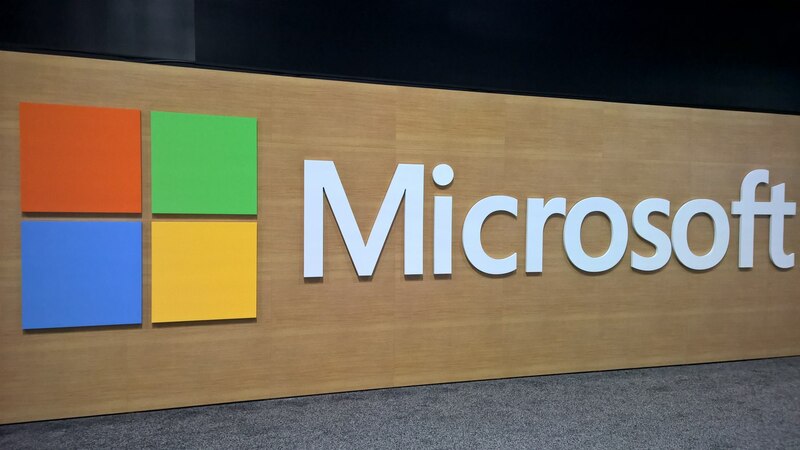 Microsoft’s Build 2015 conference in San Francisco was the focus of a wide variety of application development announcements. While Microsoft’s Universal Windows Platform would rate as one of the most important announcements of the conference, Microsoft’s HoloLens stole the show when it came to visual impact and astonishment. 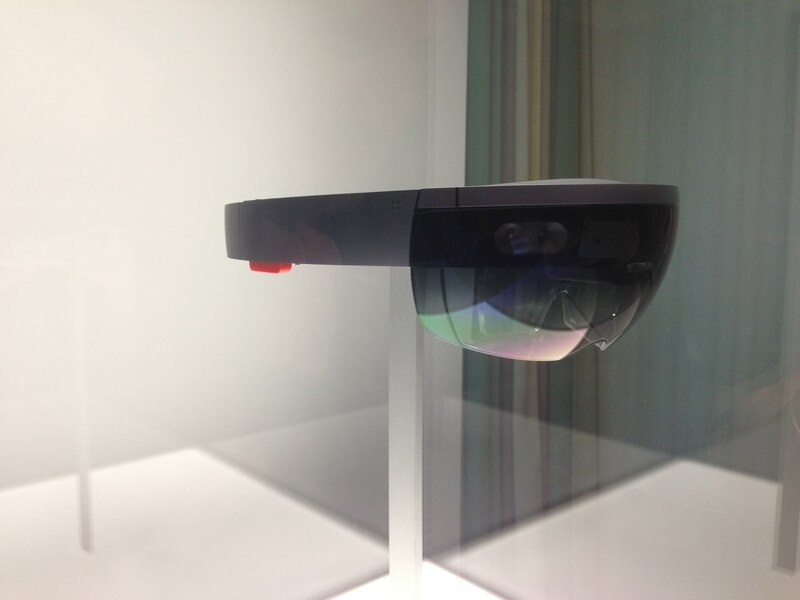 While Microsoft is being unusually tight lipped about when the HoloLens device will be made available or its price, their objective at Build 2015 was to create a spectacle and solicit some carefully orchestrated developer feedback. Although Microsoft refused to talk about what went into the development of HoloLens, they did allow us to demo it in a highly controlled setting. A few years ago, cloud computing faced an infosec hurdle. 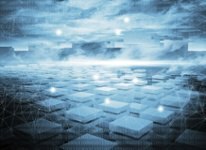 Many CIOs appreciated the benefits of cloud computing but their concerns about cloud security outweighed all of its potential goodness. 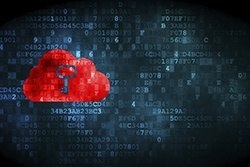 General cloud security trepidation thus precluded broader use of cloud computing. 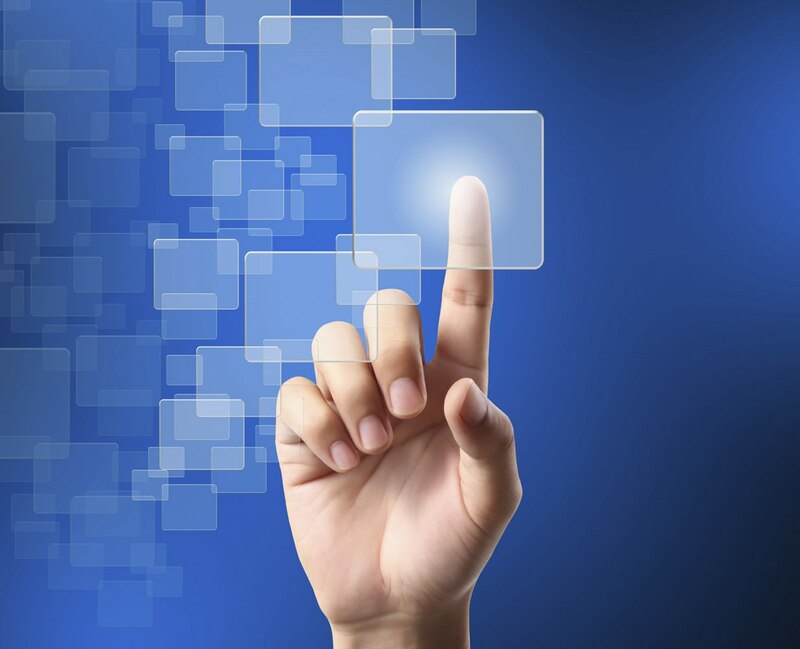 EMC is dipping their toes into the software “freemium” and open source waters. 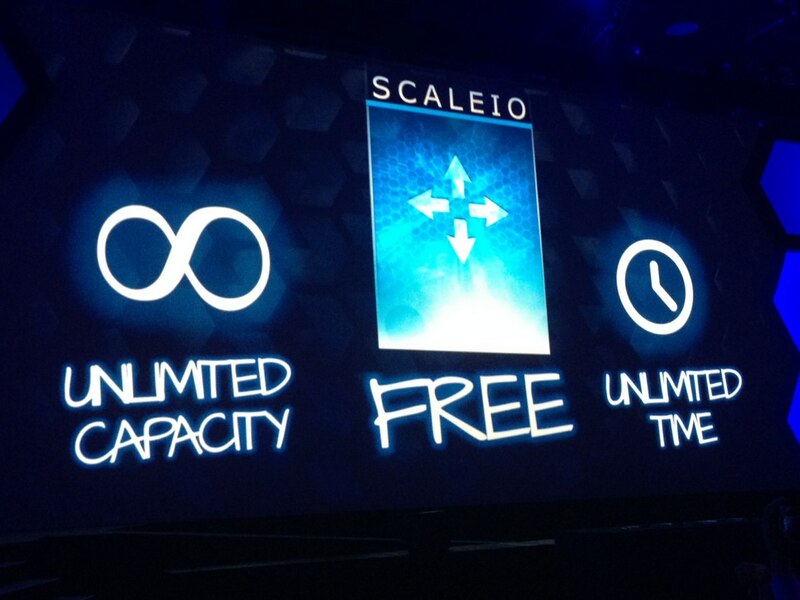 Today at EMC World 2015, Jeremy Burton, President of EMC Products and Marketing, and CJ Desai, President of EMC’s Emerging Technologies Division, jointly announced that ScaleIO will be made freely available to developers for test and development environments and ViPR will go fully open source. Last week I wrote two blogs about cybersecurity, critical infrastructure organizations, and the US government. Now I'll discuss valuable federal cybersecurity training for critical infrastructure organizations. Included with this blog post is the second in a series of seven videos that talk about the key findings from ESG’s recently published research report, Next-generation Storage Architectures. My colleagues, Mark Peters, Scott Sinclair, and I all collaborated on the research. In this segment, I talk about one of the key, next-generation storage architectures -- Integrated Compute Platforms (ICP). With that in mind, here are the Data Protection announcements (click here for EMC press release), with the first being that the Data Domain family of deduplicated “Protection Storage” platforms continues to get both bigger/faster and smaller. Hyper-converged infrastructure vendors beware. Here at EMC World 2015, Guy Churchward, President of EMC’s Core Technologies Division, just announced that Scale-IO, one of EMC’s software-defined data center (SDDC) storage technologies, has been transformed into a pre-integrated, rack-ready, scale-out hyper-converged offering that is now delivered and supported by VCE. Dubbed “VXRACK,” this offering will sit between VCE’s VBLOCK offering and VSPEX Blue (EMC’s version of VMware’s SDN solution), to affordably power Tier-2 data center workloads across private and hybrid cloud environments. Let’s get something out of the way: I know that all the data says people care more about their privacy than ever before, and especially the under-40 age group sees it as a “key issue.” And I don’t for a second doubt the data—if you ask me in a survey, “Is privacy important to you?,” I’ll say yes. If you ask “Would you do business with a company that does not protect your privacy?,” I would say no—because those are the right answers, and intellectually we understand that. But there is a gigantic disconnect between what people say in a survey, and how they actually behave. I’m the first to admit guilt here. This installment covers deduplication storage appliances – those wonderful storage devices that drop in existing (or new) backup and archival infrastructures and automagically and radically reduce storage consumption through optimized protection storage.